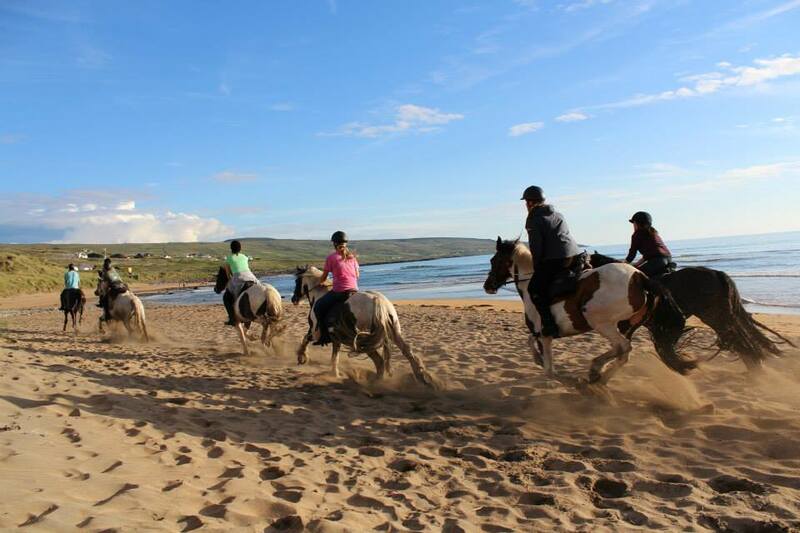 Live the dream and gallop along the sand and into the surf of Ireland's rugged West Coast. 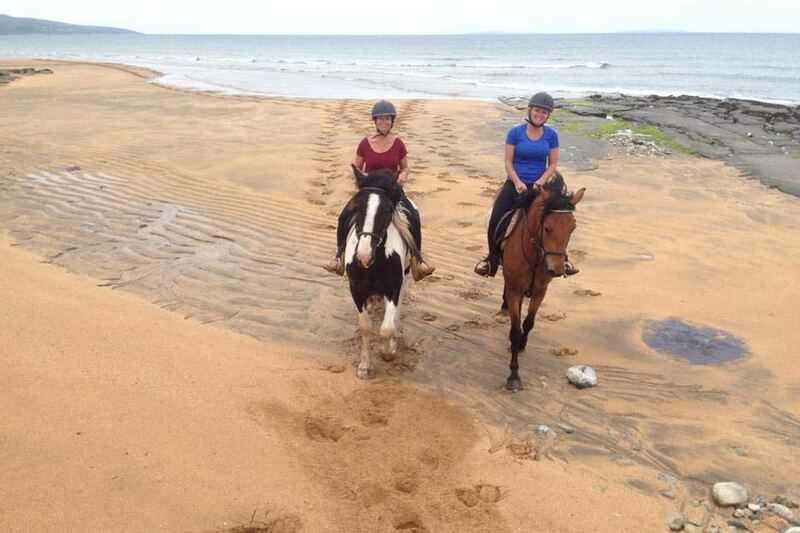 We offer three different options for riders wanting to take part in a beach trek. For the less experienced rider we offer a shorter 2 hour beach ride. 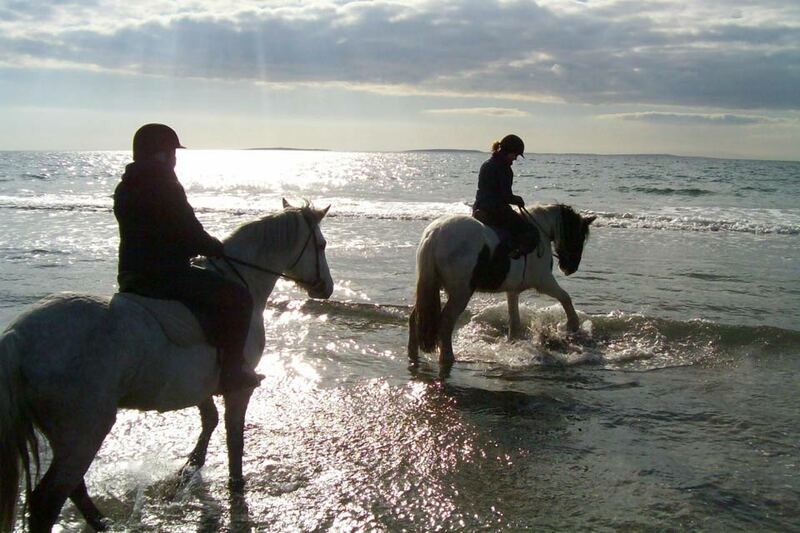 We transport both you and your horse directly from the stables to the beach by truck. 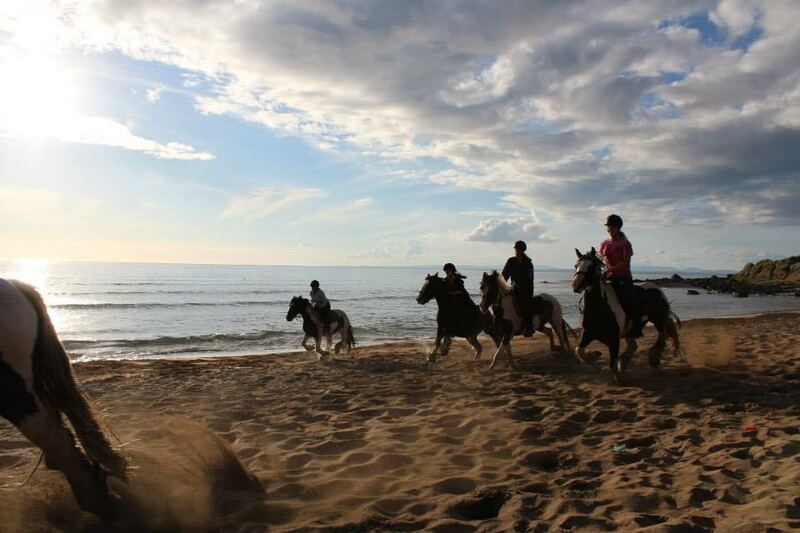 Once at the beach you can saddle up and ride onto the beach and trot and canter at your leisure. Cost is 100 Euro per person. 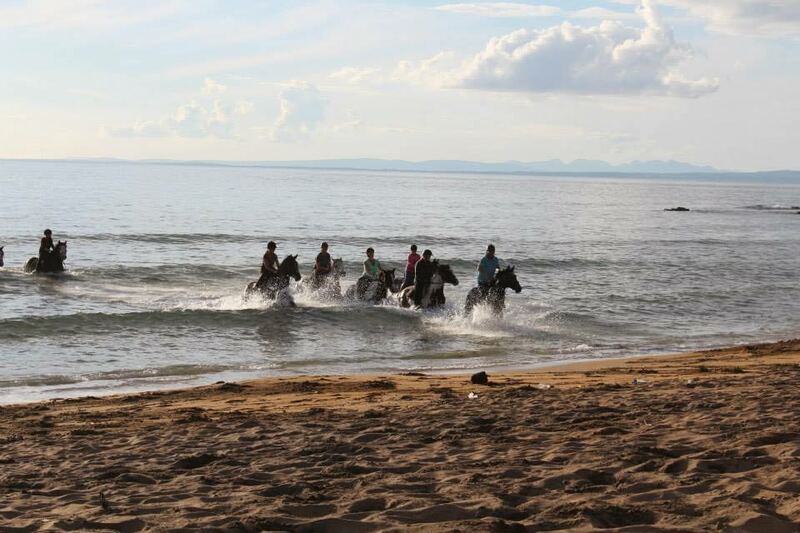 We offer a 4 hour option allowing riders to trek out from the stable across the mountain to the beach. The trek from the stables to the beach takes about 2 hours depending on your pace and you can then ride onto the beach and spend the rest of the trek there. W e will then pick you and your horse up by truck and drive you back to the stables. Cost is 150 Euro per person. We also offer a full day beach trek, usually about 6 hours with lunch en route. This treks out from the stables and heads towards the Burren, trekking the green roads to the beach and riding back over the mountain again to the stables. Cost is 200 Euro per person.